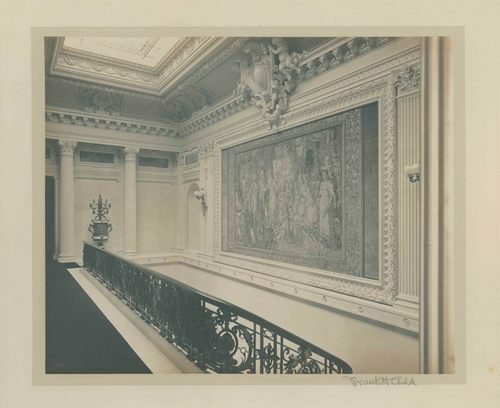 Photograph of the second floor hall at the top of the main staircase at The Breakers. Hanging on the wall is an early seventeenth-century tapestry done after a scene by Karl Van Mander. Lighting the space is a John LaFarge stained glass window set into the ceiling; it is just visible at the top of the frame.